The Digital Greenhouse CMH 630w double lamp fixture features a dual ceramic bulb configuration for 2x the growing power of standard 315w CMH or LEC lighting systems. 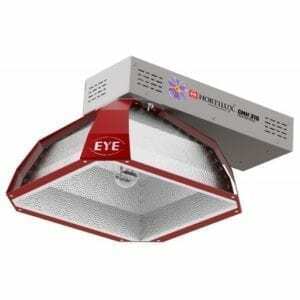 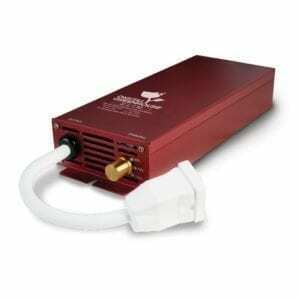 Built for commercial use with a 277v power supply, this CMH 630w system is a solid option for commercial growers who are looking to take advantage of ceramic metal halide benefits and require a higher output in order to cover larger grow room areas to further boost quantity and quality of yields. 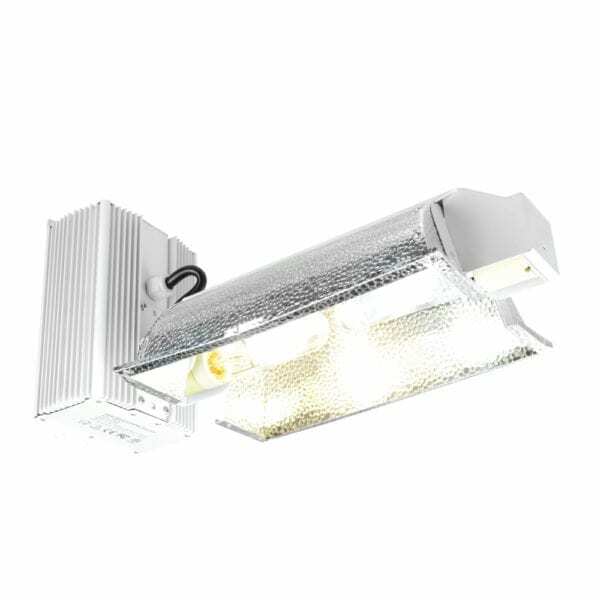 Digital Greenhouse CMH 630w double lamp fixtures are equally suited for use in large-scale commercial growing operation and home grow tent setups. 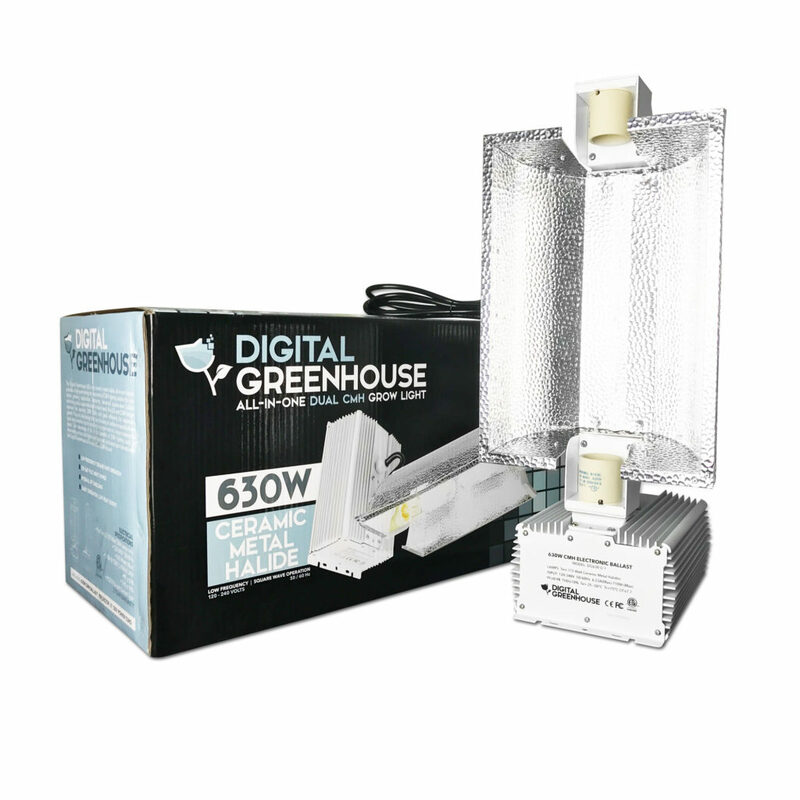 The incredibly efficient CMH 630w double lamp fixture from Digital Greenhouse delivers twice the output of standard CMH systems for supercharged growth and yields. 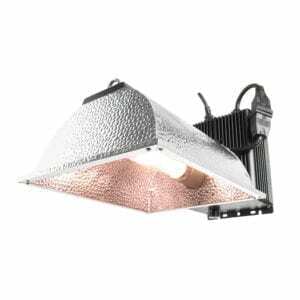 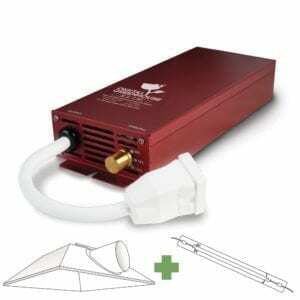 Built around dual 315w CMH bulbs, advanced square-wave ballast circuitry, and a premium Vega aluminum reflector with 95%+ reflectivity combine to create one of the industry’s most powerful ceramic grow lights. 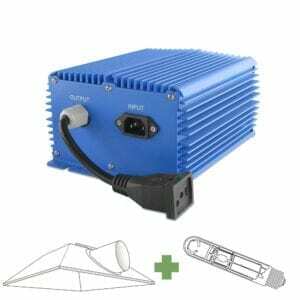 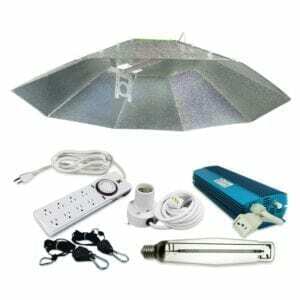 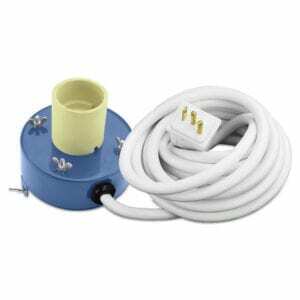 This model operates at 277v, ideal for commercial applications. 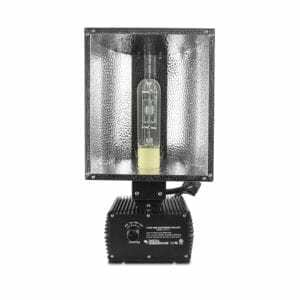 Higher output opens up the option to expand or further optimize coverage while still providing nearly a 40% reduction in power consumption vs. 1000w HPS and MH grow lights. 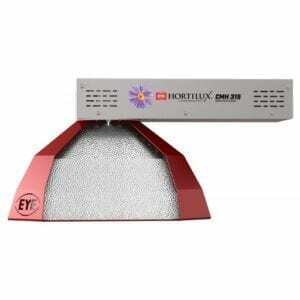 With all of the benefits of state of the art horticultural CMH lighting, more power and improved adaptability, the Digital Greenhouse CMH 630w double lamp fixture provides the serious growing power needed to produce amazingly lush and compact growth as well as incredible yield quantity and quality. 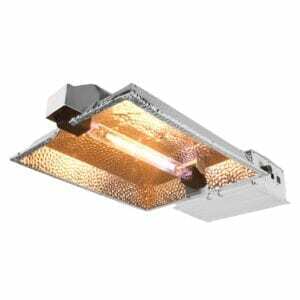 Form & Function — Designed to suit any commercial growing operations, the DG CMH 630w fixture can be hung or surface mounted above the canopy. 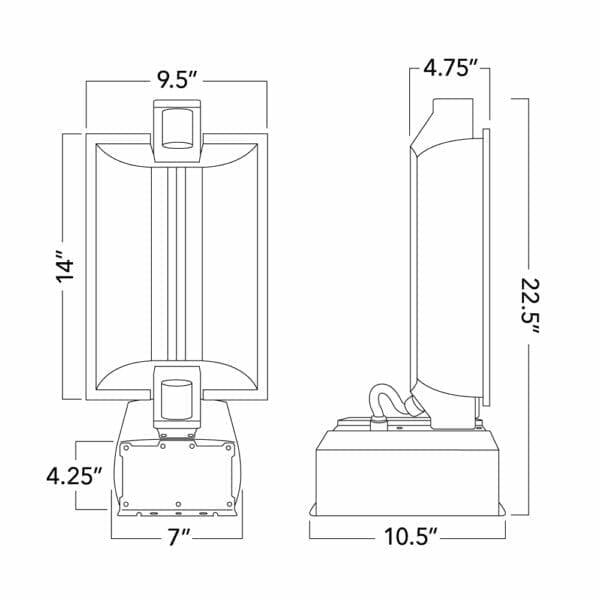 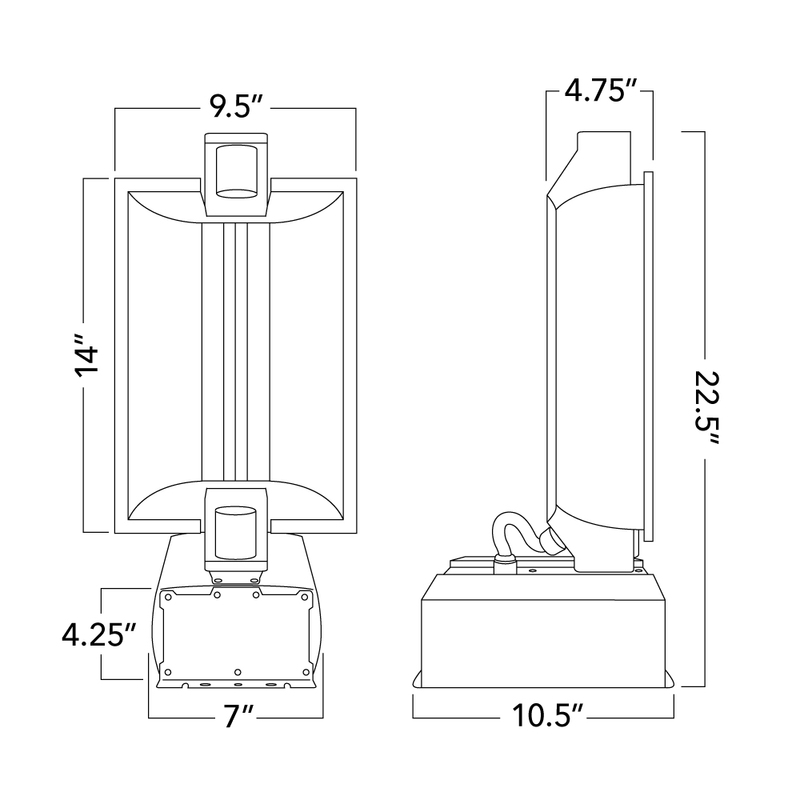 The system also features an integrated design and comes ready to install out of the box — no assembly required — for quick and easy setup in any operation.